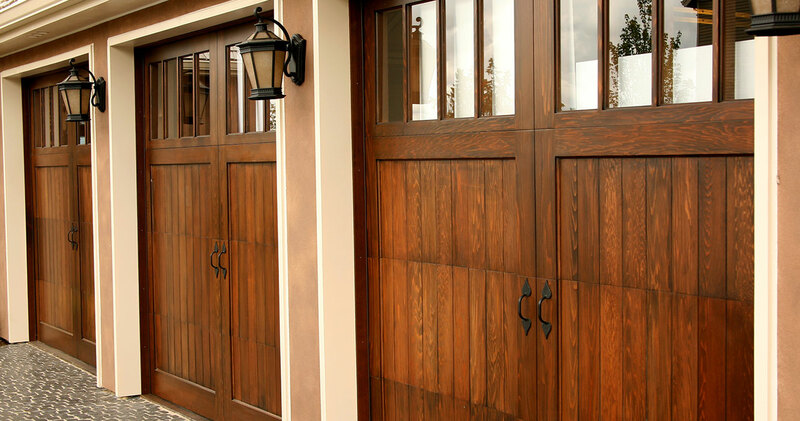 A brand new garage door will add more curb appeal to your home than you might think. Even better, it will function smoothly and keep your garage better insulated. We make getting a new garage door a stress-free process for you. Our installation process is totally professional - we’ll handle everything and communicate with you every step of the way. 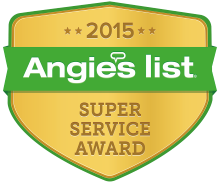 Prestige Products installs only the highest quality steel insulated garage doors. Our DoorLink, CHI, and Ankmar garage doors all have 2 inches of foam insulation in between a steel exterior and either a steel or vinyl interior backer. ALL of our new garage door installations include new rails and a new spring, new trim pieces and extra bulb foam weatherstrip at the bottom of the door (if necessary) so that all of the components of the new door fit and function perfectly. Garage doors come in either Raised Panel (8 sections across a double-wide door) or Ranch Panel (4 sections across a double-wide door) designs, and are available in a limited variety of pre-finished colors. Windows are available as an option and standard square/rectangular windows can be enhanced by sunburst or other overlay patterns. You can get the door that matches your tastes and your home with all our upgrades and options. We also sell and install Lift Master 8355 1/2HP Belt Drive and LiftMaster 8500 Elite Series Jackshaft garage door openers. Belt drive or jackshafts have a much quieter and smoother operation and they are the only kind of openers we recommend. ALL new opener installations come with 2 car remotes and a wireless keypad remote, along with MyQ wireless technology that allows you to OPEN/CLOSE and MONITOR your garage door from anywhere in the world. We can install a new garage door without a new opener and simply re-attach the existing opener (if applicable) to the new door, but we often find that if the door needs replacing, the opener most likely does, too. Many people think of gutters as kind of an “afterthought” of a home. It’s true that compared to other investments in your home, new gutters are relatively modest in terms of costs. But gutters are absolutely crucial to keeping your home protected from water damage. Water damage can cause big-time problems, including foundation issues that can lead to repairs in the tens of thousands of dollars. Don’t underquote the importance of a gutter system for getting water safely away from your home! Prestige Products installs only the highest quality aluminum seamless (or galv-alum steel seamless) water gutter and downspout systems. Our seamless gutters come in a wide variety of colors, are 5" in width for greater water carry, are guaranteed not to leak (which is why you're getting new seamless gutters in the first place, right? ), and have excellent long-lasting warranties. We also install gutter protection systems that keep leaves and debris out of your gutters and downspout outlets. We use Shur-Flo and Leaf Relief brand gutter protection that secures into the upper portion of the traditional 5" seamless gutter. We strongly recommend this type of "overlay" gutter protection system vs. other, more complicated and expensive systems. Beware of super-expensive ($18.00 per ft or higher) all-in-one gutter protection systems that are designed to allow water to run over a rounded piece of metal (gravity) hanging over the top of the gutter with a small slit-type space for the water to flow down and into the gutter. These types of systems require invasive installations that can damage roofing, are bulky and unsightly, and many times end up not working as promised. We know this because we have torn these off of several homes and re-installed traditional 5" seamless gutters with Shur-Flo protection.